You are encouraged to take advantage of our FREE 20 minute consultation to discuss your health concerns with Dr. Benjamin. This offer allows you to explore where your "opportunities for healing" exist and how we can help you. 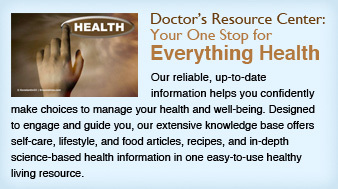 Dr. Benjamin and her staff are always available to help you and your family "GET HEALTHY & STAY HEALTHY!" If you are ready for your FREE 20 minute consultation simply call 517-223-9900 or email DrRose@BenjaminChiropractic.com to schedule a time that is convenient for your schedule. Dr. Rosemary A. Benjamin is a Chiropractor and Functional Medicine - Kalish Method practitioner that cares for patients in her offices located in Fowlerville, Michigan and all over the world! Our specialties include Chiropractic, Functional Medicine, Mediator Release testing, Gluten / Cross Reactive Foods testing & treatment. Dr. Benjamin is able to work with patients one on one in office, or over the phone/Skype since the health programs she designs are based on the results of lab tests that can easily be done in your home area. Dr. Benjamin creates her health programs based on Functional Medicine lab tests that assess the function of the Hormones - adrenal stress, "GUT" Digestive health and the Liver or Detoxification systems of the body. Completed New Patient Health History form & consent forms. Down load forms from our On Line Forms section. All intake documentation is to be submitted a minimum of 24 hours prior to you Initial Consultation for proper analysis. Prior your Initial Consultation, Dr. Benjamin will perform a very comprehensive review of your personal and family health history. During the Initial Consultation (60 minutes) you will share your health concerns and what you have done successfully and unsuccessfully to address your health issues. At the conclusion of your Initial Consultation Dr. Benjamin will make recommendations for laboratory testing and treatment recommendations that are appropriate for your specific health issues. Once your laboratory testing has been completed, Dr. Benjamin will explain the meaning of your test results to you at your Report of Findings session. She will also create an individualized health program for you, which will include one or more of the following: diet changes, nutritional supplements, and exercise, lifestyle and stress management advice and additional testing to reveal additional healing opportunities. Subsequent visits are scheduled to monitor your progress and to modify your program. Cost and insurance coverage for Functional Medicine? *Unfortunately most insurances will not cover this cutting edge approach to health care. Your first consultation will be 60+ minutes with your second visit and Report of Findings session and lasting about 30-45 minutes. All follow-up consultations are typically 15 or 30 minutes long, but can be longer depending on how many lab tests you have completed, and the complexity of your issues. All consultations can be conducted in-office, phone or Skype. Please call our office for further information regarding fees and scheduling. Payment is due at time of consultation. Methods of payment are: Personal check (sent in advance) Visa, MasterCard, American Express or Discover. Call our office at 517-223-9900 or e-mail us at DrRose@BenjaminChiropractic.com to schedule a consultation. Print and complete the New Patient Forms for the Functional Nutrition patient. (You will need Adobe Acrobat Reader & MS Excel to open the New Patient Forms). "GET HEALTHY & STAY HEALTHY! ".